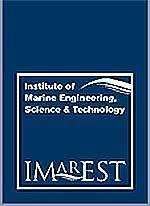 The Institute of Marine Engineering, Science & Technology (IMarEST) has published a seminal Metocean Procedures Guide which is the first of its kind. Developed by the IMarEST's Offshore Renewables Special Interest Group, the guide highlights the meteorological and oceanographic (metocean) information required to support all phases of an offshore renewable (OR) energy project, through development and construction to ongoing operations and maintenance. The guide is a tool for all those involved in offshore renewables, including project managers, structural engineers, surveyors and logistics personnel based within offshore renewable companies or support organisations and contractors. Zoe Roberts, Senior Metocean Analyst at Vattenfall Wind Power (UK) commented: "The Metocean Procedures Guide provides a concise strategy for ensuring that metocean is not neglected early in the project lifecycle, thus avoiding headaches in design, construction and operation later on." Ian Leggett, Managing Director at OceanExpert Ltd said: "This is the first metocean procedures guide for the offshore renewables (OR) industry and has been produced by a group of leading experts in the field. It provides valuable information for all those engaged in the OR sector, showing how metocean data, reports and expertise play a key role in all aspects of the project lifecycle. Furthermore, it outlines a recommended metocean strategy to help achieve this." "I felt that we had reached a time when many lessons had been learnt about metocean strategy for offshore wind projects", said Laure Grignon, Offshore Technical Analyst at RES Offshore, "However, its importance was still being underestimated by some projects. It was therefore important that we share our experience of defining such metocean strategies in a clear and concise document, accessible to project managers and technical specialists alike."